As a golem, Chava is incredibly strong. She spends the course of the book learning how to handle her superstrength, hide what she is from her community, and live independently from a master. She never sleeps, is an extremely hard worker, and is always building new skills to pass the time. Next, we meet the jinni. We never learn his true name, as he is hundreds of years old and originally lived in the Syrian desert. He is given the name Ahmad by the blacksmith who releases him from a lamp and takes him under his wing. Ahmad is overconfident, arrogant, and inquisitive. He likes to observe humans (aka people-watch,) which gets him into trouble both in his past and in the present. Since Ahmad is such an old being, we see scenes from two time periods, ancient Syria and now turn-of-the-century New York. Ahmad has trysts with human women, but I think Wecker handles this tastefully; I don’t see Ahmad as predatory, and the one woman he sleeps with, Sophia, consents to it. I loved that the author avoided the trope of bringing the two main characters together romantically. Chava and Ahmad become friends, plain and simple. Even though these two are both supernatural beings scraping by in a sprawling human city, they both have their own problems, flaws, and lives to lead. 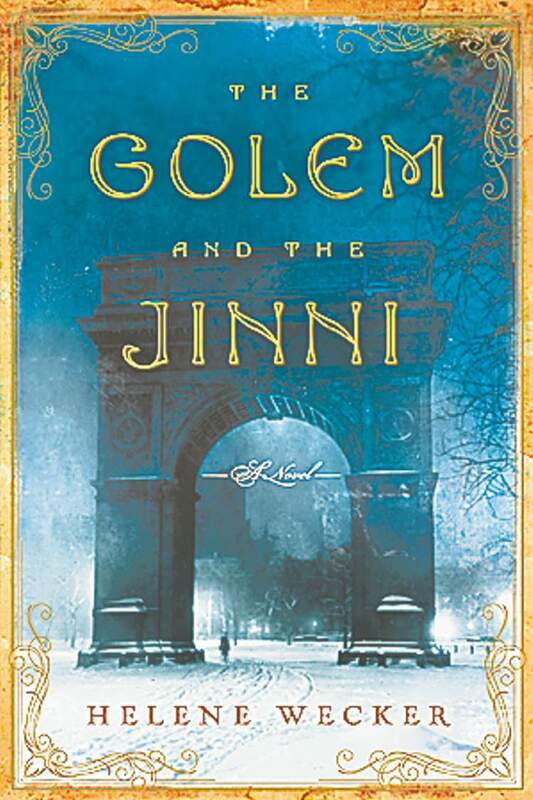 Overall, the Golem and the Jinni reads smoothly and has an exciting cast of complex characters. This novel works as standalone if you lack the time or attention span for a series, but a sequel is planned for release next year for those of us who want to return to Wecker’s world. Even though Chava is a woman, and interacts with other women, I don’t feel comfortable giving the book full points on this one. Most of Chava’s important conversations are with men, such as Ahmad and the Rabbi. She speaks with Anna about Anna’s pregnancy, but for the most part, there are not many conversations between women that stand out as explicitly passing the Bechdel test. Chava, our golem, is one of the main characters. For our supporting characters, we have Maryam Faddoul, the “mother” of New York’s Syrian community and owner of the coffee shop, Anna Blumberg, Chava’s friend and coworker, Thea Radzin, Chava’s boss and co-owner of the bakery Chava works at, Sophia Winston, a New York heiress and Ahmad’s lover, and Fadwa Al Hadid, Ahmad’s Syrian lover. Overall, the Golem and the Jinni earns 14/15 points on the Her Story Arc Scale of Inclusivity and is well worth the read.